There are different views and opinions on the subject which are the greatest plays in past 100 years, evaluated on different criteria and with different opinions. We have researched and collected information’s on these from various sources and we have put together this list of 10 greatest plays in the past 100 years. 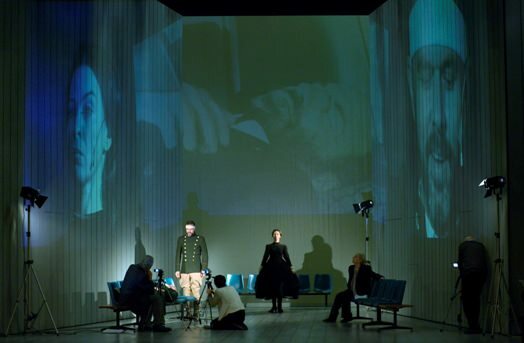 Mourning Becomes Electra is considered O’Neill’s most ambitious work. 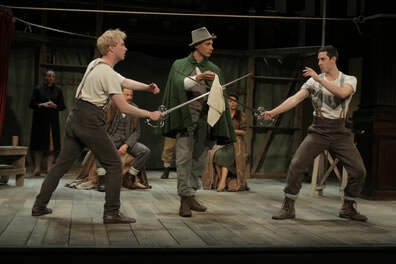 In the play, he adapts the Greek tragic myth Oresteia to nineteenth-century New England. Generally, critics praised the play as one of O’Neill’s best. 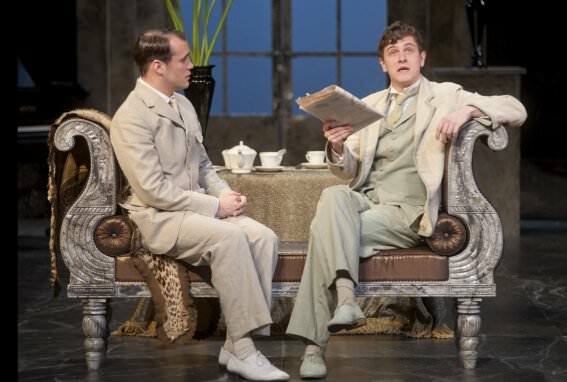 Even though performances ran almost six hours long, audiences seemed to agree; it ran for 150 performances. In A View from the Bridge Arthur Miller explores the intersection between one man’s self-delusion and the brutal trajectory of fate. Eddie Carbone is a Brooklyn longshoreman, a hard-working man whose life has been soothingly predictable. He hasn’t counted on the arrival of two of his wife’s relatives, illegal immigrants from Italy. And in due course, what Eddie doesn’t know—about her, about life, about his own heart—will have devastating consequences. Willy Loman has been a salesman for 34 years. At 60, he is cast aside, his usefulness exhausted. With no future to dream about he must face the crushing disappointments of his past. He takes one final brave action, but is he heroic at last or a self-deluding fool. Endgame, by Samuel Beckett, is a one-act play with four characters. It was originally written in French as Fin de partie. As was his custom, Beckett translated it into English. Published in ’57, it’s one of his most important works. Its protagonists are Hamm, an aged blind master who cannot stand, & his servant Clov, who cannot sit. They exist in a tiny house by the sea, though dialog suggests there’s nothing left outside—no sea, no sun, no clouds. Mutually dependent, they’ve fought for years & continue to do so. Hamlet is the story of the Prince of Denmark who learns of the death of his father at the hands of his uncle, Claudius. Claudius murders Hamlet’s father, his own brother, to take the throne of Denmark and to marry Hamlet’s widowed mother. Hamlet is sunk into a state of great despair as a result of discovering the murder of his father and the infidelity of his mother. Hamlet is torn between his great sadness and his desire for the revenge of his father’s murder. 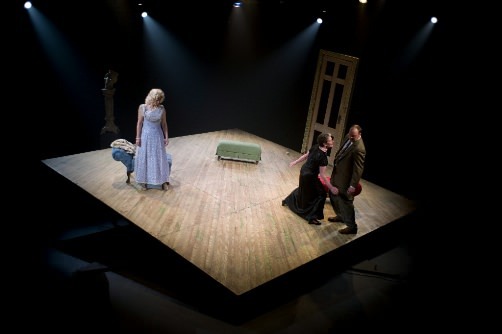 A Streetcar Named Desire is a 1947 play written by American playwright Tennessee Williamsfor which he received the Pulitzer Prize for Drama in 1948. 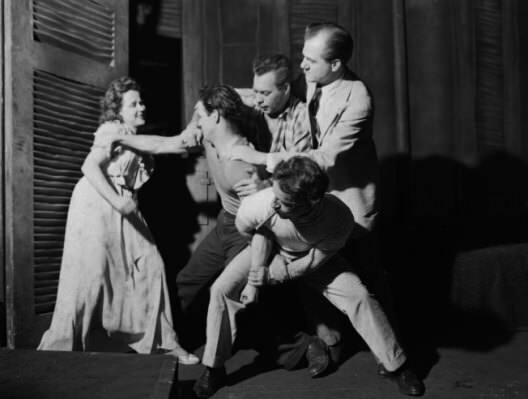 The play opened on Broadway on December 3, 1947, and closed on December 17, 1949, in the Ethel Barrymore Theatre. 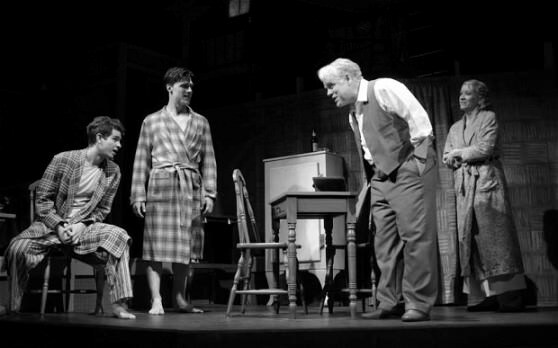 The Broadway production was directed by Elia Kazan and starred Marlon Brando, Jessica Tandy, Kim Hunter, and Karl Malden. The London production opened in 1949 with Bonar Colleano, Vivien Leigh, and Renee Asherson and was directed by Laurence Olivier. One of Shakespeare’s finest tragedies, the work displays a pessimism and nihilism that make it a 20th-century favorite. The aging King Lear decides to divide his kingdom among his three daughters, allotting each a portion in proportion to the eloquence of her declaration of love. 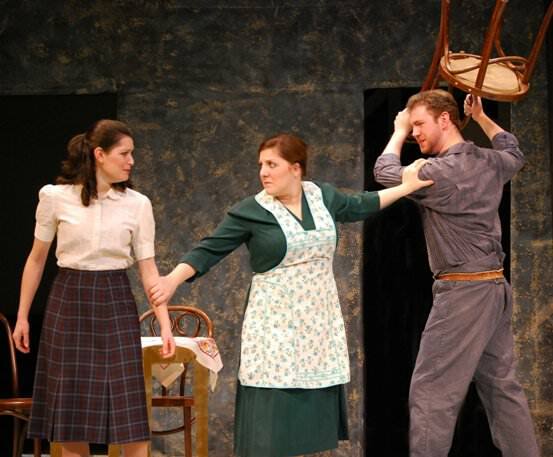 The hypocritical Goneril and Regan make grand pronouncements and are rewarded; Cordelia, the youngest daughter, who truly loves Lear, refuses to make an insincere speech to prove her love and is disinherited. The two older sisters mock Lear and renege on their promise to support him. Jean-Paul Sartre, the great existentialist novelist and philosopher, displays his mastery of drama. No Exit is an unforgettable portrayal of hell. The play is a depiction of the afterlife in which three deceased characters are punished by being locked into a room together for eternity. 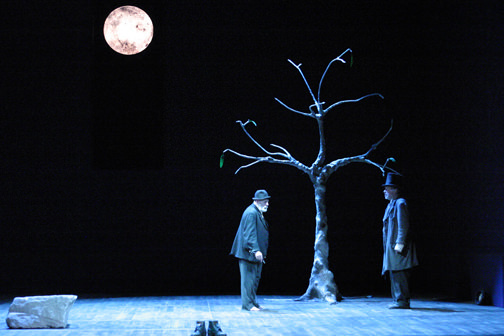 Waiting for Godot was Samuel Beckett’s first professionally produced play. It opened in Paris in 1953 at the tiny Left Bank Theatre de Babylone, and has since become a cornerstone of twentieth-century theatre. 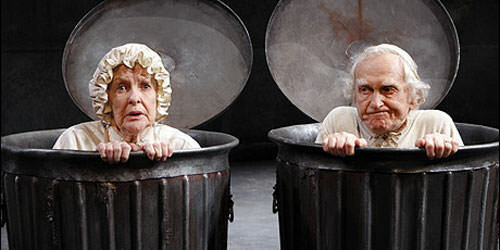 The story line revolves around two seemingly homeless men waiting for someone or something named Godot. 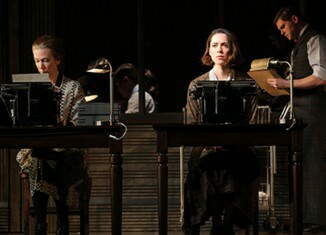 Beckett’s language pioneered an expressionistic minimalism that captured the existentialism of post-World War II Europe. His play remains one of the most magical and beautiful allegories of our time. You may agree with the list or disagree, but you must agree on one subject, these plays are truly great ones!